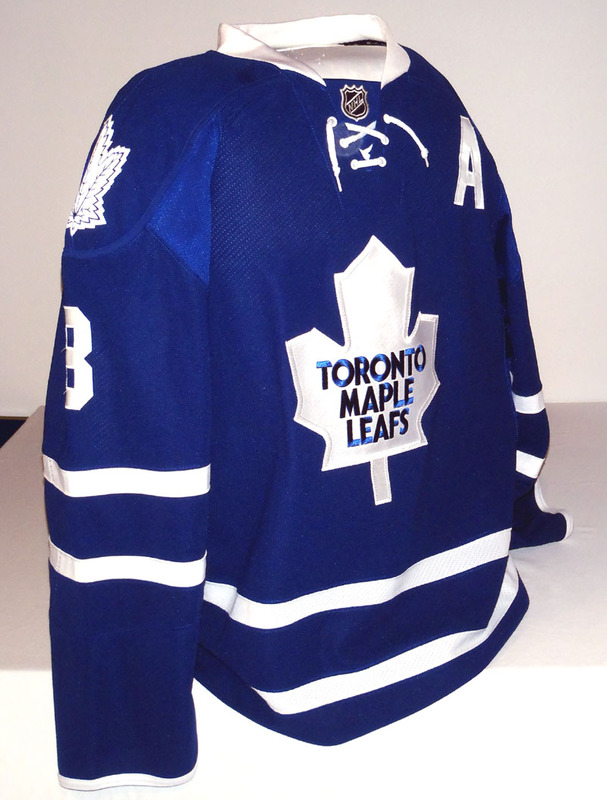 This home blue gamer was worn by Mike Komisarek during the 2011-12 season. The wear on this one is light with stick and slash marks, pilling, and general filth. 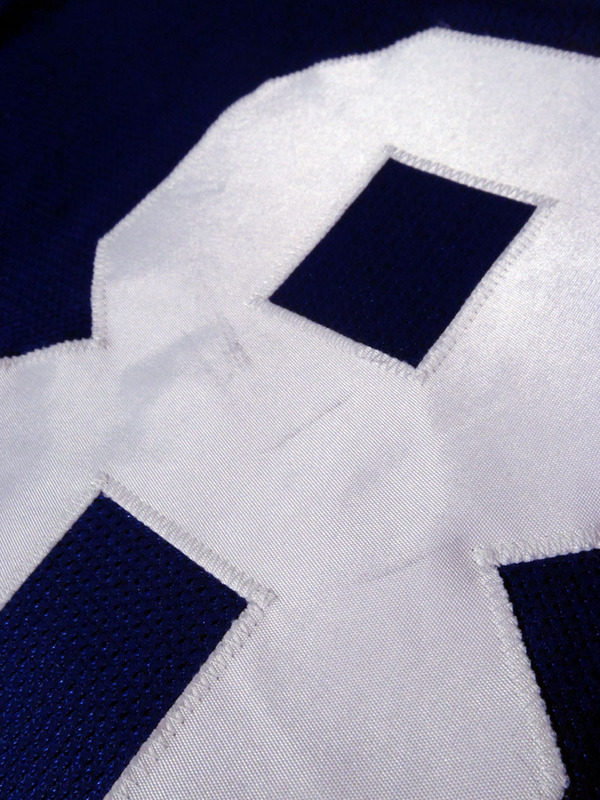 It has a very distinctive mark on the number on the back side. 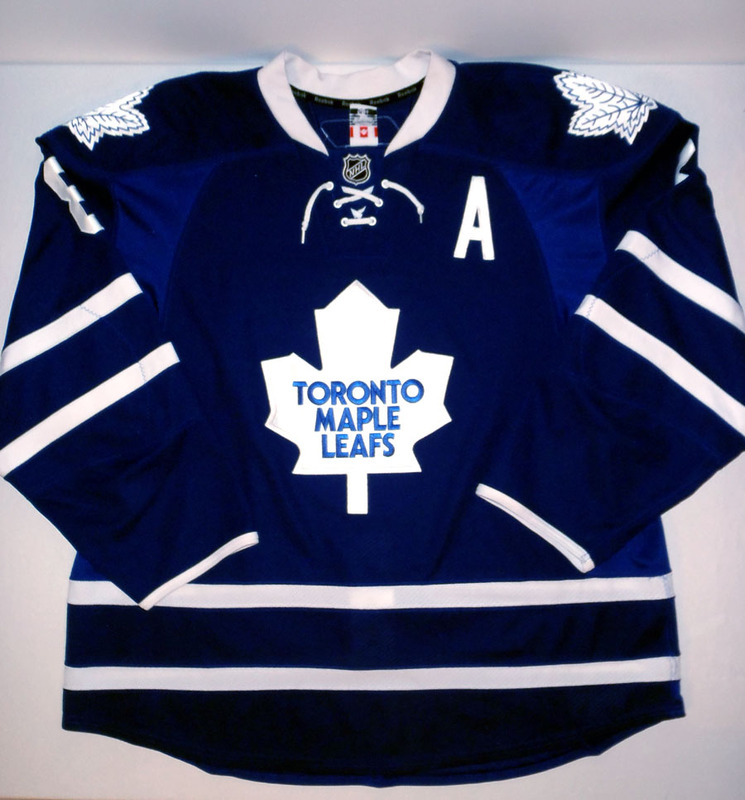 This jersey also features the Alternate Captain's "A" patch on the left breast. Made by Reebok, size 56. 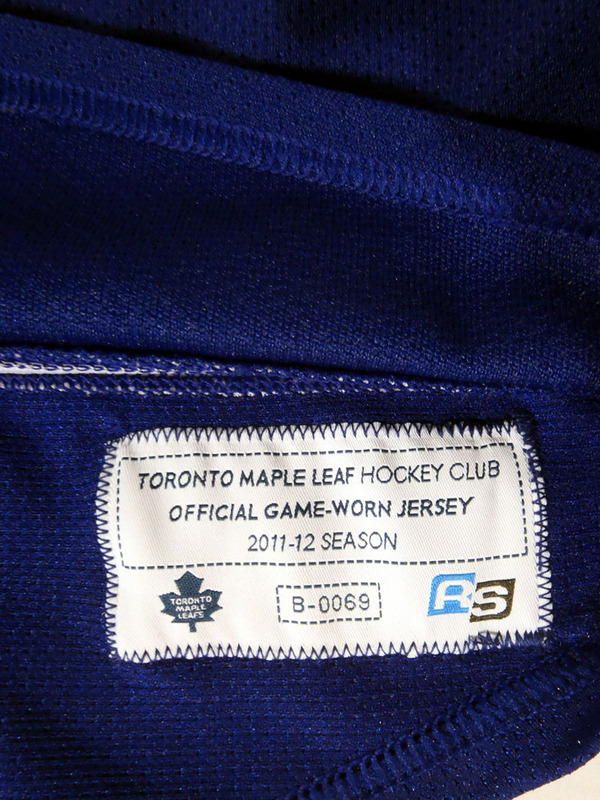 Has the official Toronto Maple Leafs tagging on the inner hem and comes with an LOA. 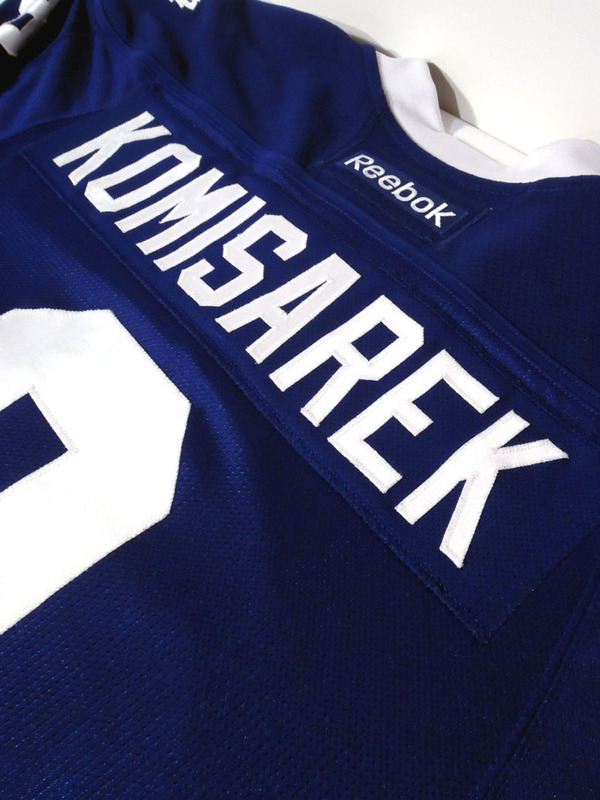 Mike Komisarek was a rugged All-Star defenseman from West Islip, New York. He played for the US Junior National Team in 1999-2000 before attending The University of Michigan for 2 seasons. While at Michigan he led the Wolverines to two trips to the NCAA Frozen Four and was drafted by the Montreal Canadiens in the 1st round of the 2001 Entry Draft. He played in parts of 3 seasons with the Hamiliton Bulldogs (AHL) before establishing himself as a top tier defenseman in Montreal. 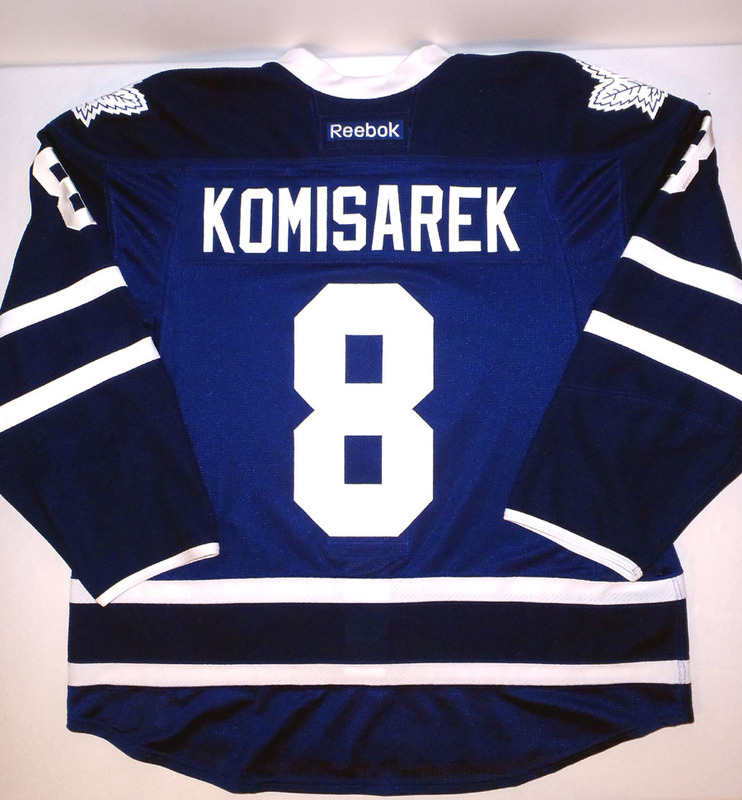 After playing 6 seasons with the Canadiens, Komisarek signed with the Toronto Maple Leafs in 2009 and later with the Carolina Hurricanes.